Welcome to St George’s Class! We have a daily maths lesson that is taught discretely using our school scheme taught across all three schools in the MAST called ‘Maths – No problem’. Each week we have a chocolate challenge with a winner being picked every Friday. Some of our children are also Maths Masters which gives them the chance to challenge themselves as mathematicians. We also have daily literacy lessons covering either; punctuation, grammar spelling, guided reading or reading comprehension. Each term we base our learning around a cross curricular theme (see term review). We begin our theme with a Superstarter day and end with a Fantastic Finisher day. (See the links below for photos showing how great these days are and how much we enjoy our learning). PE day is on Wednesday. We need to wear plain dark shorts, plain white T shirt and plimsolls or trainers. A pair of plain dark tracksuit bottoms or leggings and our school jumper or a tracksuit jacket need to be worn outside in the colder months. Our hair needs to be tied back if it is long. Any jewellery we are wearing needs to be taken off and we must cover newly pierced earrings up with tape that parents provide us with ourselves. Please make sure all PE clothing is clearly labelled. We stick to the 6 golden rules that every class in the school tries to follow. Do be gentle – do be kind and helpful – do work hard – do listen – do be honest – do look after property. 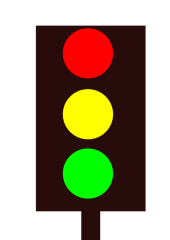 We have a traffic lights system in class where ‘Green to go’ is rewarded and red and orange behaviours result in clearly defined and understood consequences. Individuals are rewarded in class by winning raffle tickets. At the end of the week, 2 raffle tickets are pulled out of the box and we get to choose an item out of the class prize box. Our table groups are named after authors which was voted for by the class. On Friday’s a green-to-go star, Literacy star, and Maths star is announced in assembly and entered into the praise book. Their photo is displayed on our class Celebration board for the week. We are given spellings every Friday that we must practice every night during the week. We are tested on these in class on Fridays. We need to keep practising our times tables as every Friday we take part in the 120 club challenge where we have 6 minutes to answer 120 times table questions. The aim is for us to get as many questions as we can correct and take less time each week to complete them! 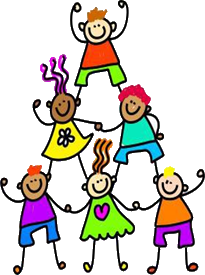 Every Friday we are given 3 pieces of homework - Grammar/Punctuation, Comprehension & Maths which are due back the following Friday. 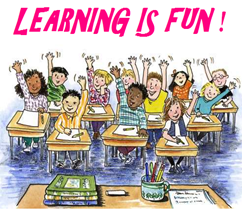 Homework that is not completed will be finished in Monday lunchtime homework club. We are expected to spend 30 minutes on each piece of homework. Please help check that we have done our best work. If you wish to speak to me, you can just catch me on the playground at the end of the school day after I have safely dismissed all of the children in the class out to their appropriate adult. If after school is not convenient to you: phone up the school office and request that I phone you back to arrange a more mutually convenient time. Failing all of the above – write a note asking to speak to me and get your child to pass it on. This school year a key focus across the school is reading. To help develop your child’s reading skills as well as written and spoken language a fostering of a genuine love for books and reading is vital in the progress they make in their learning journey. In support of this it is critical that you as a parent or guardian encourage children to read regularly at home, and provide opportunities for them to be heard when reading. The school has recently partnered with local libraries to provide additional book selections that will be delivered to school. Pupils can take these additional books home and record completion in their reading record books.